There’s a little virtual stamping goodness goin’ on over at Splitcoast this weekend! Read more about it here. 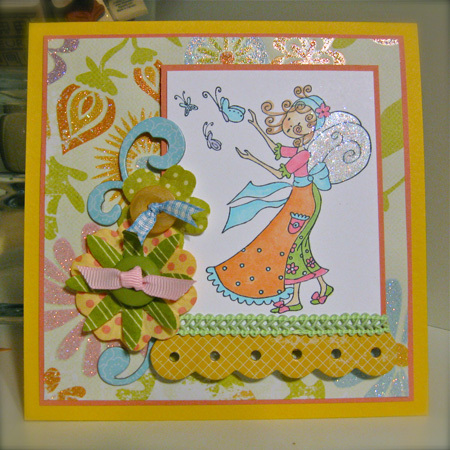 Here’s the first card I made with Wendy Papillon from Stamping Bella (click image for details). . . .it’s for a little challenge Lori & I hosted over in the forums. . .
Ah this is just darlin’!!! 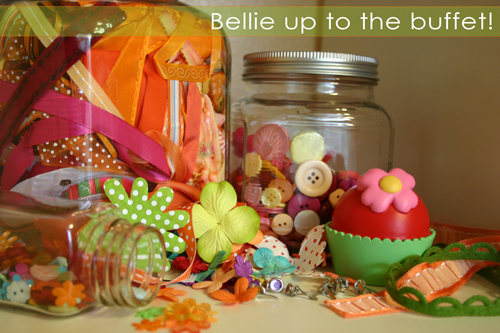 Love the ribbon/flower embellishments and the glitz are the perfect touch. That card is absolutely beautiful! This is so adorable and fabulous!! Thank you so much for hosting this challenge, you and Lori are geniuses! !